Greek Travel Advice A summary of the latest travel advice with regard to taking money on your holiday or vacation to Greece is contained below. This advice on travelling to Greece relates to UK citizens but is broadly the same as other countries. Remember; if you take large amounts of cash on your vacation to another country at a time of a national financial crisis the local and airport thieves will know about it. They know you will be carrying large amounts of cash with you as you travel and that you will be keeping money in your hotel room, villa, apartment or hostel when you go out. Greece is a beautiful country however, many of the hotels do not follow the same star rating standards as other countries and fall below what might be normally expected, often they do not have a safe in the room, 24 hour reception or patrolling security. This situation can make you vulnerable to crime, so beware. 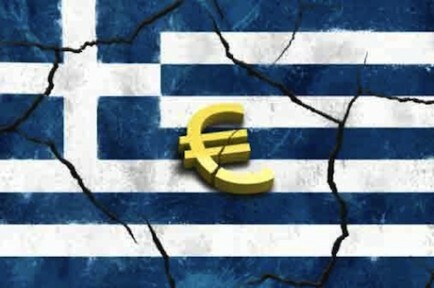 The currency of Greece is the euro. 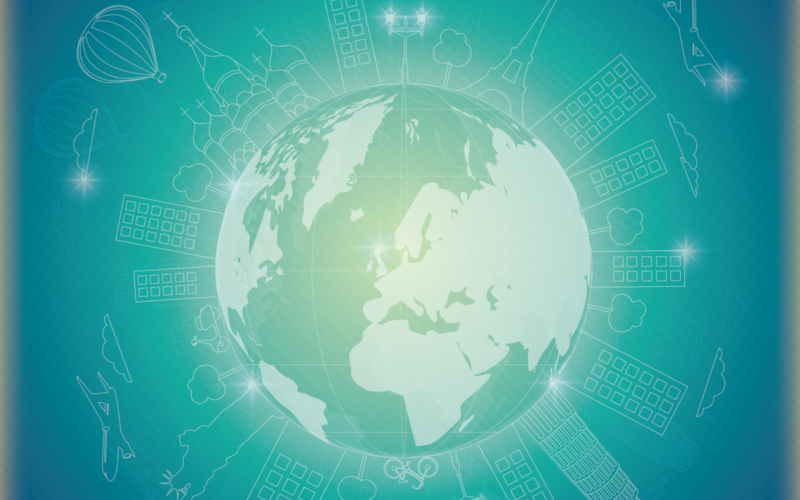 When travelling outside of the UK, you should take more than one means of payment with you (cash, debit card, credit card). Visitors to Greece should be aware of the possibility that banking services – including credit card processing and servicing of ATMs – throughout Greece could potentially become limited at short notice. The government of Greece announced on 28 June an extended bank closure, until at least close of business on 6 July possibly ongoing. The Greek government is limiting withdrawals using cards issued by Greek banks to €60 per day. At this time, you can continue to withdraw cash using your card as normal, up to the daily limit imposed by the Greek banking system (usually €600), or the daily limit imposed by your card issuer – whichever is the lower amount, as long as the ATM has been replenished. The system for paying with debit and credit cards for retail transactions continues to function. While banks are closed in Greece and some withdrawals are limited, make sure you take sufficient euros in cash to cover the duration of your stay, emergencies, unforeseen circumstances and any unexpected delays. You should take appropriate security precautions against theft and scams. There are currently no restrictions on taking unspent euros out of Greece at the end of your stay. New Thai Prime Minister clamping down on rogue Jet-Ski operators in Pattaya and Phuket after years of negative publicity. Jet -Ski Scams have been highlighted by us before. At last it seems like somebody has taken notice and has decided to take action against the gangs that extort money from tourists on beaches particularly popular resorts like Pattaya and Phuket. Prime Minister General Prayuth Chan-ocha wants action taken on rogue jet ski operators by provincial authorities. He urged them to deal with the problem at seaside resorts such as Pattaya and Phuket. The Jet- Ski extortionists reportedly knowingly allow tourists to use unsafe Jet- Skis and when accidents occur they demand exaggerated “compensation” payouts for “damage” caused to the Jet- Ski and sometimes they have even assaulted people or even robbed them of their belongings. – It needs to be determined if a machine was damaged due to a crash occurring because of its poor condition or because the rider was at fault. – Tourists generally lack experience riding Jet- Skis. – Operators sometimes charge full price for the hiring even though tourists return the Jet- Ski before the deadline. – Some operators claim existing Jet-Ski damage has been caused by a customer and demand exaggerated compensation. – Some tourists have lost or had their belongings stolen after leaving them in the safe keeping of the operators. This year there have been 54 complaints lodged against Jet Ski operators – 44 of which ended in early financial settlements while the rest ended in court with civil lawsuits. It was reported that most victims were from India, China and Oman. Pattaya police now set guidelines relating to resolving claims including setting up a settlement room to help support fair negotiations, investigating suspect operators and requiring all Jet- Ski operators to be insured. A police investigations team will also be set up to handle cases. 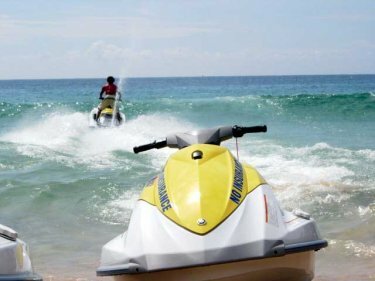 New zones for water sports to operate in the central, northern, and southern parts of the city’s beaches will be set up so Jet-Ski operators could regulate themselves. If any zone had a problem, the whole zone would be closed for up to a week. Officials would register 500 jet skis to ensure good standards. While the new regulations will undoubtedly help the situation in the short term FCOL warns that initiatives such as these have been tried before and failed. Our advice is not to get involved with the Jet- Ski operators. If you absolutely must hire one make sure you record the condition of the Jet- Ski before you take it out. Don’t leave your belongings with the Jet- Ski operators and if there is a problem over the price or damage to the Jet- Ski report the matter to the Thai police and resolve the situation with their help and support. Remember Jet- Ski operation is run by the Thai mafia…. it is organised and Jet- Ski operators back each other up. If you stand and argue on the beach you will not win! Tip: Never ride a Jet- Ski under the influence of alcohol. Dont be put off vacationing in Thailand this issue is really a minor one and being forewarned you should not find yourself a victim of this type of scam. Thailand is a fascinating holiday destination well worth a visit but as with so many destinations you need to pack your brain too! Boeing announced at the 2013 Paris Air Show that it has launched the 787-10 Dreamliner, the third member of the super-efficient 787 family. Commitments for one hundred and two aircraft from five customers across Europe, Asia and North America provide a strong foundation to support development and production of the newest Dreamliner. Customer launch commitments for the 787-10 include Air Lease Corporation, with thirty airplanes; GE Capital Aviation Services, with ten; International Airlines Group/British Airways, with twelve subject to shareholder approval; Singapore Airlines, with thirty and United Airlines, with twenty airplanes. The new 787-10 will fly up to 7,000 nautical miles (12,964 km) — covering more than 90% of the world’s twin-aisle routes — with seating for 300-330 passengers, depending on an airline’s configuration choices. The second member of the family, the 787-9, is in final assembly in Everett, Wash., and is set to make its first flight later this year. The 787 family’s unique interior offers passengers technologies that make their flights more enjoyable, including large, dimmable windows; cleaner air; higher humidity; lower cabin altitude; bigger stowage bins; soothing LED lighting and a smoother ride. 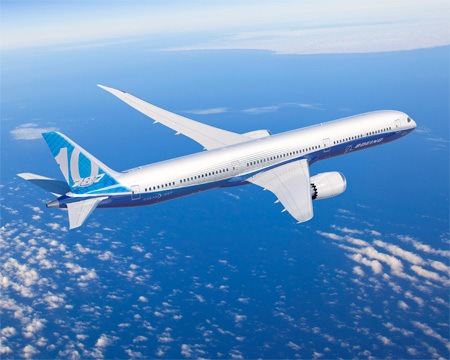 The 787-10 will share a common type rating not only with the 787-8 and 787-9 but also with the popular Boeing 777, giving airlines additional flexibility in scheduling and training flight crews. 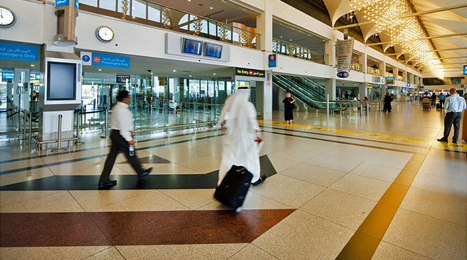 Now that Dubai Airport’s Emirates & Qantas all-Airbus A380 concourse A is open, attention is turning to the major upgrade for the older Terminal 1, located at the airport. The extensive revamp is expected to be completed by the end of next year 2014. Once it’s finished, transit passengers can expect a brand new baggage system, more space in the departures hall, better signage, and a general facelift of the whole connections area. 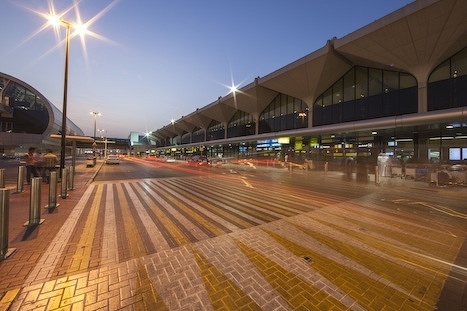 If you’re staying in Dubai, you’ll emerge from the new baggage claim to reach an upgraded arrivals immigration hall, which the airport authority promises will “improve passenger flow and reduce processing times for arriving passengers”. After immigration, you’ll find a “reconfigured and expanded arrivals hall” (fully air-conditioned) with new food options and shops. And when it comes time to fly out, there will be a completely revamped set of check-in desks, “more efficient and streamlined baggage screening in the departures hall”, and “modernisation of all public areas”. In the meantime, be sure to allow yourself extra time when transiting the terminal while it’s under construction. For more information or to request a quote on holidays or airfares to Dubai please contact the team at Twickenham’s World of Transport Travel.